Yesterday I went to the Barbican Art Gallery and saw a free exhibition by Walead Beshty. The work was an installation of 12,000 cyanotype prints covering the wall of the Curve Gallery from floor to ceiling. 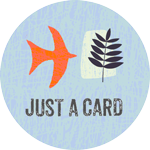 Each print is produced by coating paper, card or wood with UV-sensitive emulsion; taking an object from the artists’ studio and placing it on the paper, card or wood and exposing it to sunlight. After exposure to sunlight a silhouette of the object appears against the cyan blue background. 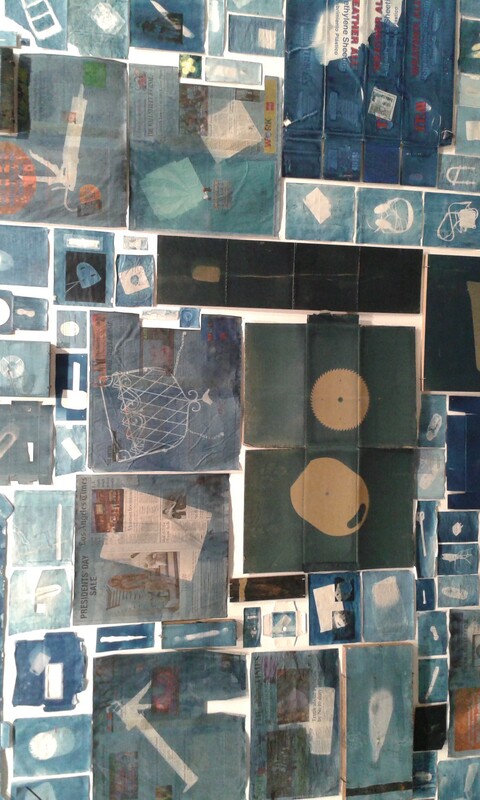 The cyanotypes are presented in order to form a visual time line from October 2013 to September 2014. The art work is called ‘A Partial Disassembling of an Invention Without a Future: Helter-Skelter and Random Notes in Which the Pulleys and Cogwheels Are Lying Around at Random All Over the Workbench’. Please see exhibition details at http://www.barbican.org.uk/artgallery/event-detail.asp?ID=16302 On until 08 February 2015. There is no doubt that the size and overall visual effect of the installation is instantly appealing; and I soon found myself automatically starting to identify the silhouettes of objects, and admire the more mysterious forms produced. When I recognised, objects it started for me an internal dialogue thinking on that object, the last time I used it/saw it, my own personal narratives that were associated with it. What is it about a collection of objects/items that is so satisfying? I wonder if it is because it is a very human activity, to control by collecting, identifying and labeling. I also found myself wondering if the collection was edited, editing also changes the values of the artwork, by showing you what the artist wants you to see, rather than the results good or bad of an action. I like the idea of an unedited collection of work, maybe that’s because I would find it impossible to stop myself editing! Here are some close-ups I took of the cyanotypes; there are better images in the gallery at the above link.